Food. We all need it but does it have to be so expensive? Food shopping is one of the biggest expenses we pay out each week and with rising food prices it’s hard to feed the whole family on a budget. British families squander twice as much money on food waste each month as they think they do, according to YouGov research commissioned by Sainsbury’s. The supermarket said it found that 81% of families of four believe they throw away less than £30 worth of food a month, when in reality they waste nearly double that at £58.30 a month, on average. At goodtoknow, we’d like to help. Not only can we provide you lots of cheap family meals and easy recipes so you can make sure the kids are eating healthily, we can also help you save money. Food shopping is such a vital part of our weekly routine, we can often get into bad habits that mean we spend more money then we really need to. The key is learning how to make the most of what you have. This can be done by a few simple tricks and tips. We know time is a luxury most mums don’t have, that’s why we’ve found some really speedy ways to ensure that not only your food shop is the cheapest it can be but that also you make the most of the food you do buy. See below for 103 ways to make more of your food shop and if you’ve got any top tips, please share below. One of the first areas to consider is how you shop. There are lots of quick and easy ways to make your food shopping the cheapest yet just scroll through to our top tips for how you shop. This is pretty obvious one but we can't stress how important it is. There's nothing worse for your bank balance than an aimless wonder around the supermarket. We're all guilty of quickly jotting down a few ideas and not really considering what we really need. A well-thought out list will ensure that you don't stray away from the food you will really use. Top tip: Make a master list on your computer and print it out or access it in the supermarket on your phone. You can add to the document and take things away as and when you need them. It's good to know how much you are planning to spend before you even leave the house. This will help you decide if you really need that expensive product. Setting yourself a budget will also make you feel more in control of what you are buying and should hopefully avoid any shocks when you come to check-out. Top tip: Keep a mental (or physical) note of your budget and subtract each item from it as you put it into your trolly or basket. If you're not the best with numbers or planning a big shop, it can be hard to estimate how much the cost is really going to be when you get to the check-out. Having a calculator close to hand will help you tally up the total cost as you shop. You don't need to enter everything exactly either - rounding-up will save time and give you a pretty close estimate. It may take a little longer, but it's much less embarrassing then having to return items at the check-out when you realise you've gone over budget. Top tip: Most phones have a calculator app so you won't need to worry about taking a calculator with you. You can even task the little ones with keeping track to make it a game. If you've given yourself a strict budget, taking the exact cash with you is a good way to ensure you stick to it. Rather than just chucking it on your card and thinking about it later, having the actual cash in your hand will really make you think about how much you're spending. Top tip: If you do happen to go over you budget you can always pay the rest on your card - most shops are happy to split the payment. Note down how much you overspent by and increase the amount you take out next time. We've all been there. Forgotten to eat lunch before the big shop and suddenly that cake aisle is calling! A full stomach will help you view food in a more practical way, rather than your brain thinking about what to eat now. Top tip: Keep a bag of nuts in your handbag to snack on while shopping. Planning a week's worth of meals is a great way to think about the food you actually use. Writing your own or using a ready made meal planneror tool will ensure that you only buy food that you are actually going to use. Top tip: Don't think about meals as separate things - consider what leftovers can be used for and what products will spread across 2 or 3 dishes. A good way to think about your meals is how much each serving will cost. Thankfully you don't have to do all the maths yourself - we've costed lots of budget meals that are just £1 a head. Top tip: You'd be surprised how many meals you can make cheaply. Don't discount meals that you think are expensive - you just need to know a few little twists. Little hands and hungry faces will undoubtedly lead to a few extra things landing in the trolly (and that's not even thinking about the toy aisles in most supermarkets). If you can, leave the kids at home so you can keep focused on the task at hand! Top tip: Make your shopping list with your other half and kids before leaving so they don't feel left out and still get some treats from the food shop. Popping to the shops to get one or two things can often lead to another long shopping list, the temptation being too great once you're there. If you can, try and limit popping to to shops for extra ingredients outside of your big shop like fresh fruit and veggies. Top tip: If you do find yourself topping-up your shop, make a note of the common things you need to buy and add them or a bigger quantity to your regular shopping list. One sure way of sticking to your shopping list is by doing it online. You can enter exactly what you want without the worry of being tempted by other products. Top tip: Make sure you check which shop offers you the cheapest price for your basket before ordering - and don't forget to consider the delivery costs. If you do like to do your food shop online, mySupermarket is a great website to try. Not only can you save your basket of food, you can also easily swap between the big supermarkets to see which one offers the cheapest price. Top tip: All of our recipes carry a 'buy the ingredients now' button which will help you compare prices via mySupermarket at all the top stores. If you're spending the cash already - you might as well make a little money from it. Cashback sites like Quidco often have deals where you can earn money on your online shop. All you need to do is click a link that takes you to the site. Top tip: Google the supermarket that you plan to use with the words vouchers, offers and discounts to see if you can find a discount code to use on your shop. It only takes a couple of mins and could easily save you some cash. You don't see many coupons about these days, but they are still out there! An easy way to cut down the costs of your meal, coupons can often be a big part of supermarkets' and brands' advertising campaigns so it's worth checking for a few before you head to the shops. The most common type of coupon will be £1 (or a similar sum) off a particular product - as always, make sure you will actually use the product before rushing off to buy it. Top tip: Most coupons can be found online and you can print them off when you need them. Some money-saving websites even tell you where to find all the coupons so it couldn't be easier. Before heading to the shops, it's good to really look through your cupboards, fridge and freezer to see what you already have in. There could be something lurking in the back, that you don't want to double up on. Top tip: Do a monthly clear-out of your cupboards and freezer so you can find items that you might've forgotten about. It's handy to have a notepad, whiteboard or something to write on in the kitchen. That way, when you think of something you need, or something runs out you can keep a track of it. This will result in less top-up shops. Top tip: Paint a cupboard door with chalkboard paint for a fun way to keep track of items you need. This obviously depends on the size of your shop - we're not suggesting you carry a full month's shop on your own! Having to carry the food home will make you think twice about buying anything you don't really need - you just have to imagine the extra weight on your hands and it will quickly go back on the shelf! Top tip: If walking isn't an option, you could get set yourself a limit for how full you want your car to be - or how many trips from the car to the house you want to make when unloading. Even if you're not shopping online, it can be good to do a little research before you head out. Knowing which supermarket will be cheaper for the foods you want to buy is an easy way to save money before you even get to the shop. Top tip: Check our supermarket offers gallery every week to see the best deals at the big supermarkets to grab right now. Food adverts are everywhere! It's hard to remember the discounts they shout about when you actually get to the store. When you see one that would be good for you, either tear it out of the newspaper or magazine or write it down and consider going to that store to pick up the bargain. Top tip: Don't let one good offer tempt you to shop in a supermarket that would otherwise be too expensive for you. The amount you save will not cover the extra cost of other ingredients. It doesn't have to be an exact guide of everything your family eats (who has time for that?) but a food diary can be used to document how much food you waste. If you're always throwing away something, you probably don't need to buy as much of it as you thought. Top tip: Starting a compost heap is an environmentally friendly way of making the most of wasted food, if you've got the space. Cheaper supermarkets like Lidl and Aldi are getting better and better. If you've never been in before, you'll be surprised by the amount of quality products they have at low prices. They could dramatically reduce your weekly food bill, while still providing you with all the food you need - you never know until you try. Top tip: Shops like Poundland sell branded household products and some food items - worth a look if you've got one close to you. Every shop has a rota for when it will start reducing items. If you often find gems in the reduced section of the shop (be careful with best before dates), it's good to know when to visit a shop to get the first pick of marked down goods - all you have to do is ask! Top tip: Don't get carried away in the reduced section - even if it's cheap, you still need to ask yourself if you will actually use it before it goes off. If it can be frozen - all the better! They may only occur a few times a year, but Bank holidays are a goldmine for reduced items. They're the only days when supermarkets are forced to be closed so it will undoubtedly lead to more items that need to be sold before they go out of date - that reduced section has never looked so full! Top tip: Christmas Eve shopping may be a little hectic but it's when they start reducing the Christmas items - perfect for a few last minute bargains! We often grab the receipt, stick it in a bag and never think of it again. Receipts are the most accurate way of documenting what you actually buy and it's always good to have a proper look over what you spent. Top tip: Keep all your receipts in a folder and compare cheaper ones to the more expensive to see how to cut corners. Loyalty cards are a great way to earn a little extra while you shop. Sainsbury's Nectar Card is also available for use in other stores like Homebase and now on eBay, so it's easy to build up quite a few points. Tesco's Clubcard points can be transferred into higher value things such as days out and family meals. You're in there already, you may as well earn some money! Top tip: From time to time, supermarkets run special money back offers. Asda offered £5 vouchers for every £40 spent and Sainsbury give money-off vouchers if products areavailable cheaper at other stores. You normally have to return to the same store to get the discount but they're good deals to look out for. goodtoknow user Anna Simon told us her top way to cut down on food shopping costs: 'Dont be afraid to shop at your local market - the food is fresh and really great deals can be found, and don't be afraid of imperfect looking fruit and veg.' We couldn't agree more! Top tip: You can normally haggle prices at the market so be brave and go for it! You never know unless you ask. Your local butcher or fishmonger could be your ticket to saving cash. Not all are cheaper than the supermarkets but it's worth trying out the ones near to you - especially for when you need to buy a lot of meat. They often have deals and the meat can be of a much higher quality. Top tip: Get to know your butcher. Once you're on friendly terms they can help you choose cheap meat and may even save you some of the nicest cuts. As supermarkets get a little bit greener there are incentives for bringing in used bags instead of getting new ones. Sainsbury's offers Nectar Points for every old bag used for example. Top tip: Also be aware that some stores, like M&S and Lidl, charge you per bags. Frozen fruit and vegetables are often cheaper than fresh and they last much longer. People often think that frozen foods aren't as fresh but the vegetables and fruit are frozen as soon as they're picked so they're actually fresher! Top tip: A bag of frozen peas can come in really handy when you don't have much in - they can be used as the main ingredient in risotto, soup or a frittata. When it comes to meat, do you just grab the cut you recognise? You could save lots of money if you know which cuts are cheaper. For instance chicken thighs are much tastier than breasts and work well in tray bakes and casseroles and a cheap lamb shoulder is a lovely cut for a roast dinner. Top tip: Most supermarkets have in-store butchers who would be happy to help you find the right cut of meat for you. Bags of prepared lettuce, spinach and salad always seem like a good idea but they have a very short shelf-life and we never seem to use a whole bag. Before buying them, really think if you will use up a whole bag. If not, look for a smaller serving or a cheaper alternative - you can normally buy half a lettuce on its own. Top tip: Lettuce and spinach aren't just for salads - they can be added to lots of pasta dishes, sarnies and you can even turn then into a nutrious soup. When certain fruit and vegetables are in season they can be significantly cheaper than other times of the year. It's a good time to try an ingredient that may have been too expensive before - asparagus and butternut squash are examples of this. Top tip: You don't need to do too much research to find out what is in season as they'll normally be on display quite clearly in the supermarket. Take a quick look at our seasonal food calendar so you know what to look out for. Pre-sliced or chopped ingredients do come in handy when you're in a rush but they're not value for money. The packaging usually means you'll get much less than if you bought it whole and they often cost more. It may be a little more effort but preparing vegetables yourself will save you money. Top tip: Ingredients like swede and butternut squash are notoriously hard to chop - if you give them a quick 1 minute burst in the microwave they will soften up a little. Are you really going to use all 10 bananas? Do you need 20 onions? It's easy to just pick up a bag of fruit or vegetables without thinking how many you are actually going to use. If you only think you will need 3 bananas, it's cheaper to buy them separately. Top tip: If you're a keen baker, having extra fruit is often an excuse to make a cake. Don't throw out over-ripe bananas, make our banana bread instead. Things that don't have a short shelf live can last for ages in the cupboard so if you spot them on special offer - buy lots! If it's something you know you're going to be using in months to come like pasta or tinned goods, you can never have too much. Top tip: You don't need to store your bulk buys in the kitchen. Other cupboards in the house or even the shed can be turned into a pantry. It can be hard to know when food is going off and the supermarkets don't make it any easier with all their confusing labels. The one you want to look out for is the use by date. Best before is about the quality of the food, not the safety, while display date is for the shops not for us. Eggs are the only exception to the rule - you shouldn't eat eggs after their best before date. Top tip: You can freeze ingredients right up until their use-by date - so keep a note of things you think you may not use and when the use by date is so you can still pop it in the freezer. When shops restock their shelves, they don't always put the latest use-by date at the front of the shelf. With just a little rummaging you may find a later date at the back of the shelf - which means you've just earned your food a few more days worth of use. Top tip: Always check use by date when shopping, it's an easy thing to forget about but it's so important. Items such as cheese and ham are worth spending a little more money on. Cheaper versions have less flavour so you end up using more, while if you get a good quality product, like a strong tasting cheese, you'll need to use far less. Top tip: Research and ask around to see what products other people swear by. You may only want to buy one but there's a buy 4 for the price of 3 offer - it sounds like a good deal but do you really want 4? If offers make you spend more than you originally planned, more often than not, they're not actually saving you money. Add up how much money you are actually saving - 3 for £1 deals are notoriously misleading - and whether you actually need the extra food. Top tip: If it's a product that is on your shopping list and is one you use often, it's worth stocking up on it when it's on offer. Meat is really easy to freeze so it's one product to always get when it's on offer. Mince, chicken and sausages are always handy to have in the freezer and can be defrosted in the morning to turn into a delicious meal in the evening. Top tip: Have a shelf in your freezer dedicated to meat so you know when you are running low on supplies. Just because it's 'value', it doesn't mean it's not good. If you can find a product that is just as tasty in the value range, why spend more?  See the value products our goodtoknow users swear by. Top tip: Swap luxury treats for their value counterpart - it's better than cutting them out of your shop completely. You need a cheeky biscuit once in a while! We buy own brand products to save money so we automatically assume that because it's from the supermarket's range, it must be cheaper. Finest ranges can often be more expensive than branded products - which is fine if you fancy a treat, it's just worth checking. Top tip: It's always worth checking the quality of the value ranges - you might not be able to tell the difference so it's not worth the extra cost. Does that need to be fresh? It's a very simple question to ask yourself and one that could save you lots of money. The fresh section is often at the front of the store so you find yourself filling up on items that could easily be dried or frozen. Fresh food doesn't have a long shelf-life so only buy it if there is no other option. Top tip: Fresh pasta is a nice luxury but with quick-cook dried pasta, there really is no excuse to use it on a regular basis. If you have just one ingredient in your cupboards, it should be chopped tomatoes. Every chef we've asked about their store cupboard essentials has listed this wonder ingredient and we can see why. Super cheap but oh-so useful, chopped tomatoes can be turned into sauces, curries, dips and can be used for Italian, Mexican and pretty much most cuisines. Top tip: A simple tomato sauce can be made with a tin of chopped tomatoes, a little basil and some seasoning. Stock has got to be one of the most under-rated ingredients. Pick up a pack for as little as 80p and just watch how many meals you can use it for. It adds flavour to sauces and if you only have rice in and one type of veg or mince - it turns it into risotto! Top tip: Stock cubes can have quite high salt levels so check this before using. Stock pots are a little more expensive but have an extra intense flavour. Top tip: Take the kids and turn it into a fun activity. They'll love picking the fruits and may even want to get involved in the cooking too. See our guide to fruit picking farms around the UK. You'll never go hungry when you have either pasta, rice or a grain like couscous in your cupboards. Rice can be easily made into risotto. Pasta just needs a little cheese and couscous, some boiling water. They're very handy when it comes to using up leftovers as, generally, most things go with all three. Top tip: If you know you're going to be eating a lot of pasta, buy the biggest bag you can find. It's cheaper than having to buy several smaller bags. Think beans, think baked beans? You're missing out. Pulses such such as broad beans, chickpeas and lentils are store cupboards saviours. Often found in tins, they can be stored for months and are brilliant at bulking out meals when you haven't got much tin. Top tips: Lentils and chickpeas can replace the meat in a meal to turn it into a cheap and healthy meal. Always thought eggs were just for breakfast? They can be turned into so many different meals, they really are an ingredient that is worth it's cost - and then some! Want to make a cake? You'll need eggs for that. Got lots of leftovers but don't know what to make - crack and egg over them and fry to make a frittata or omelette. Nothing for breakfast - eggs, flour and milk is all you need to whip up some pancakes. Point proven? Top tip: To test an egg's freshness, drop it into a glass of water. If it sinks to the bottom and stays there, it's fresh. It starts to float the older it is, if none of the egg stays on the bottom of the glass, the egg is off. A well-stocked condiment cupboard is an essential tool of the home cook. Vinegars, such as red/white, cider, and rice are the basis of lots of sauces and salad dressings. Mustard is also an easy way to inject some flavour into a dish. Condiments are often inexpensive and can last for a while as you never need to use too much. Top tip: Combine a little white wine vinegar with lemon juice and chopped mint to make a quick and easy salad dressing - it's delicious with couscous. If you need lemon juice for a recipe - do you really need to buy whole lemons? A bottle of lemon or lime juice in the cupboard is much cheaper than a bag of fresh fruit - and will last a whole lot longer. Top tip: Lime juice is a lovely addition to Mexican sauces such as salsa and guacamole. It can be expensive to grow your own vegetables but if there's one particular item you constantly buy from the supermarket, it might be worth looking into. Tomatoes for instance are cheap to grow - you just need to spend a little upfront, then you'll be overrun with free tomatoes! Top tip: You don't need to dig out a patch in your garden, some vegetables can be grown in pots or alongside your flowers. See our guide on how to grow your own. It may take a little longer (and may earn you some annoyed looks from the other customers) but separating out your ingredients at the check-out is very useful. Have one bag for freezer items, one for fridge and another for cupboards. It will make storing ingredients very easy. Top tip: If you don't feel comfortable doing this in the supermarket, you can do this on your surfaces in the kitchen - have one pile for each area. It also reminds you what you've bought. New products going into a fridge can often mask others at the back, meaning they'll probably be forgotten about. As items in the fridge usually have a short shelf-life, it's important to rotate ingredients to ensure you don't miss any use-by expiry dates. Top tip: Separate your shelves for old and new products. You can only move onto the new shelf once the old one is empty. Bulky packages can take up excess room in the fridge and especially the freezer. Cardboard packaging usually tops a plastic coating which is more than enough protection for the food. You can remove the packaging and replace with clingfilm if it doesn't have a plastic coating - this is good for meat in the freezer. Top tip: If the packaging included the use-by date and the item is going in the fridge, make sure you write the date on the plastic packaging with a marker pen so you know when to use it by. Don't just chuck things in a cupboard - a bit of order ensures you don't lose or forget about ingredients. Have one shelf for rice and pasta, one for tins and one for condiments. If you open your cupboard and see clearly what you have, you'll be more likely to think of a meal to make out of it. Top tip: If you're a keen baker, its a good idea to have a separate space for baking products as they can take up quite a lot of space and aren't often useful when making meals. Bread is often the first thing to go bad. If you always buy a loaf but find yourself throwing away the last few slices - it's worth popping it in the freezer. You can freeze a loaf whole or in portions and take it out to defrost when you need it. You can also toast individual slices straight from frozen - so it's perfect for speedy breakfasts. Top tip: If you know you'll be making a certain amount of sandwiches in one week, freeze the slices you need in a separate portion and defrost them on a Sunday night. Make sure your fridge is always set to 1-5 degrees, it ensures your chilled food lasts longer. Empty freezers are more expensive to run, so the fuller you keep it, the less energy it is using. Top tip: Read the user manuals for your fridge and freezer, you might find out a few money saving tips. Did you know that one bad banana or apple can turn other fruits? When off, they emit a gas that affects the fresh fruit around them so keep an eye on your fruit and remove any bad bananas and apples as soon as they start to turn. Top tip: If you want to make a banana cake, you need over-ripe bananas so putting an off banana next to fresh ones will speed this process along. There are lots of things you can freeze that you probably didn't realise. Cheese and rice can be stored in the freezer as can butter. A little research will show you the best way to store something if you are unsure. Top tip: Butter lasts longer in the freezer than in the fridge, when you need to use some you can just grate it off the frozen block. Shopping recipe to recipe can really mount up the costs. If you want to try a recipe but don't have all the ingredients, you don't necessarily need to head to the shops to buy them. A little research (or a quick Google search) could provide an alternative you already have in or one you could whip up. Buttermilk, for example, can be made by adding lemon juice to milk. Top tip: If you really want to buy the extra ingredients, research what other recipes it can be used in so you get your money's worth. Understanding how to use your ingredients is the best way to ensure you make the most of your food shop. Knowing how to cook each ingredient, how many different dishes they can be used to make and, importantly, how to store it fresh and once it's been cooked, will mean that you never need to waste any food. Top tip: Learn what ingredients can be frozen straight from the shop and what leftovers can be frozen - you'll find your waste food will dramatically decrease. If you're a little unsure in the kitchen, learning a few classic dishes will increase your confidence and your cookery skills. Once you learn the basics, you'll be able to experiment and use your ingredients to create lots of different dishes - you may even be able to make up recipes from scratch - watch out, Jamie! Top tip: We've rounded up the top 50 recipes everyone should know how to cook - how many can you tick off? One of the biggest cost-cutting skills to learn is how to make sauces from scratch. It's easy to reach for a ready made sauce but once you know how to whip them up, you'll wonder why you ever bought them. Cheaper and much tastier, homemade sauces also mean less additives. Top tip: Learn how to make a tomato sauce and a Bechamel sauce (white sauce) - they're the basic bases and can be adapted to make lots of different sauces with various ingredients. Fresh or dried, herbs can really transform a meal. It may cost a little to build up your collection, but once you have them, they can last for ages. Knowing what herb works with what dish can really improve the flavour - it's particulary good to give flavour to leftovers you're throwing together. A basil plant is reasonably cheap and easy to care for. We've had ours for about months now on the kitchen windowsill and it adds a ton of flavour to all sorts of dishes. Top tip: Write a little list on your kitchen notice board about the flavour combinations that work the best. Fresh herbs can be frozen if you notice they're going off. When making a meal, think to yourself 'Could I double the ingredients and save the rest for another time?' This type of thinking could save you money. Batch cooking is not only a cheaper way to prepare you're food, it also saves time. Ready made portions of food in the freezer are also a god send for days when you just don't have time to cook. Top tip: A big batch of mince could be used to create spaghetti Bolognese, lasagne, meatloaf.... the list goes on. See our 100 ways with mince for more ideas. Dinners are always the first thing we think of when shopping but lunches are just as important. If you know you'll be out at lunchtime, make sure you plan ahead to stop yourself from buying expensive, packaged sandwiches and soups. Top tip: Include lunches in your weekly meal planner - link them up to dinners so you can make the most of your leftovers. There are certain items that are much cheaper to make at home than buying ready-made. It will take a little effort but the results are normally much tastier. Bread is one of the cheapest things to make - all you need is some flour, yeast and a pinch of salt. Top tip: If you know you always eat a lot of a certain thing, research how much it will cost to make it at home. Once you have the ingredients in, you'll be able to make it again and again. Most of us are guilty of cooking more food than we actually need. If you know how to make the most of leftovers, it's not the end of the world but knowing the correct portion sizes will make your meal times more cost efficient. Top tip: Love Food Hate Waste have a clever portion calculator if you're unsure of how to measure up your portions. It's easier to save leftovers if they haven't all been combined together. So for instance, pasta sauce and plain pasta can be reused separately but they're a lot harder to re-use once combined. This is true for roast dinners too. It's very tempting to chuck the whole lot of sauce on the pasta in the pan but serving up individual servings of pasta then sauce on top will allow any leftovers to be saved separately. Top tip: Serve up food still in the pans so the family can help themselves to the amount of food they want. This is a great way to serve Mexican food. Cereal is a very expensive product to buy and, if you eat it every morning, it can be used up quite quickly. It's easy to make up your own cereal and because it's homemade you can make sure it's a healthy start to the day. Muesli, granola and porridge are made using ingredients that are cheap to buy in bulk so you can stock up and make cereal for weeks. Top tip: Make batches for the family that feature their favourite ingredients - dried fruits and a little sweet twist can make muesli seem like a treat. Smaller servings don't mean the family get less food, it just means that the first serving is of a smaller size. If they're still hungry once they've finished that serving they can have another. Reducing the initial serving could see them getting fuller on less food - which means more leftovers for the next day. Top top: Smaller plates or bowls will make the food seem like a big portion so you feel like you're eating more. We won't tell if you won't! Forking out on a few high-cost products is sometimes a cost-saving investment. A slow cooker is an easy and money-saving piece of equipment to own - and you can normally pick one up for as little as £20. Almost all of your ingredients can be turned into a hearty family meal with a little time in the slow cooker. Top tip: It's not just stews and casseroles, slow cookers can also be used to make curries, pasta dishes and even cakes - see how with our easy slow cooker recipes. When you haven't got much in, it's hard to visualise what you can make from what you have. Rather than heading to the shops when the fridge looks a bit bare, search for recipes using up the odd bits and bobs you've got in. Top tip: We don't want to blow our own trumpet or anything, but we think our what's in my fridge tool is a pretty good way of finding meals to use up your leftovers. You simply enter what you have in and we'll give you a recipe - simple! Meet your new best friend. If you don't always have a roll of cling film in your house, you're missing out! A life-saver when it comes to leftovers, a tight seal of it will keep your food nice and fresh. Wrap around fresh food, over the top of bowls or around opened packets of food to keep out bacteria. Top tip: Wrap fresh or cooked meat in individual portions so it doesn't stick together in the freezer. Some bags have a handy reusable seal which helps food stay fresher longer. Once you open a product, it will automatically begin to go off as bacteria gets to the food. If you seal the packaging shut, you can slow down this process. A elastic band will come in handy as will these food bag clips from Lakeland. Tip tip: Clip-lock boxes and Tupperware are also a good way to keep food fresher longer. Have you ever noticed that your Chinese and Indian takeaways sometimes come in little plastic tubs? Don't throw them away with the rest of the wrappers, they are perfect for storing leftovers and fresh food in the freezer - free Tupperware! Top tip: Make sure you wash the plastic tubs thoroughly and dry out before using. A Sunday roast is a good excuse to go all out and cook lots of lovely side dishes and a nice big piece of meat. It's also one of the biggest jackpots when it comes to leftovers - nearly everything can be re-used for meals in the upcoming week. We know you're full after eating and may not want to think about it while clearing away, but a few minutes spent freezing the chicken, potatoes and veggies will result in far fewer waste. Top tip: You can always serve a mini roast on Monday night using the leftovers - who would complain about roast, two nights in a row! It may not look like the most appetising thing in the world but meat carcasses from chicken and lamb are still full of flavour. If you can't think what to do with them right away you can freeze them and use later. Carcasses make great bases for stock, soup and if you have a few, you can put them in the slow cooker to make a delicious casserole. Top tip: Store a carass in box all on its own so you can keep any meat that falls away from the bone. Cooked meat lasts a few days in the fridge, if you don't think you are going to use it again in that time frame - freeze it! Cutting chunks of meat into strips means you can grab a handful and add to meals like stir-fries or pasta. Top tip: Cut up fresh chicken breasts into strips before freezing, that way you only have to defrost what you want to use, rather than the whole lot. Hands up if you just use your ice tray for ice. There's so much more it could be doing. The individual portions are a great way of separating out ingredients into smaller servings - which means you can easily use and defrost the amount you need. Sauces, pesto, fruit, anything can be poured into an ice tray and popped out when you need it. Top tip: If you've got leftover dregs of wine, pour into your ice cube tray and use to add to sauces. It can be hard to find space for lots of plastic tubs in the fridge and freezer, which is why sandwich bags come in handy. Liquid leftovers such as stock, soup or gravy can be poured into a bag and, as long as they're properly sealed, can be stacked up in the fridge. Top tip: Look for reusable sandwich bags to ensure no spillages. Soup is the saviour of leftovers. Pretty much anything savoury can be blended down to make a soup. All you need is a little stock and that's pretty much it. Boil all your ingredients together with the stock and blend with a stick blender if you want a smoother finish. Vegetables, meat, even lettuce can be added to the broth, so it's a great way to through all your leftovers together in one meal. See our massive collection of delicious soup recipes. Top tip: Make a big batch of soup at the start of the week and freeze in individual portions. Whenever you need something for lunch or a light dinner, you will have a delicious option close to hand. If soup is the saviour of savoury leftovers, smoothies are equivalent to fruit. Blend any leftover fruit with a little milk, frozen yogurt or even ice cream if you're feeling a little naughty and voila! A touch of honey will add a lovely sweet finish too. Top tip: If your fruit is looking a little off, stick it in the freezer immediately. You can use frozen berries in smoothies and bananas just need a little time in the microwave to defrost. But leftover fruits aren't just for smoothies. If you simmer them down with a little sugar you can easily turn them into a tangy compote or jam. Compotes can be made and frozen and are delicious atop cereals, ice cream and even beneath a crumble topping for a speedy dessert. Top tip: Save old jam jars so you have lots of spaces to store your fruity creations. Is is just us or is there always loads of gravy leftover from a Sunday lunch? goodtoknow user Sharon Trehane has the answer. She uses leftover gravy from roast dinners as the base for her stews or casseroles - delicious! Top tip: Gravy can be frozen in portions so if you're not planning of using it a few days after making, stick it in the freezer. Leftover juice, milk, yogurt and fruit can be turned into delicious ice lollies. All you need to do is blend the ingredients together and pour into some moulds with a lolly stick. It's always nice to have something sweet in the house and you won't have to worry about the additives in shop-bought ice lollies. Top tip: If you don't have lolly sticks to hand, you can always freeze the mixture in small portions and serve with a spoon. Try our tasty recipes for fruit lollies. Do you have a favourite tipple on a Saturday night? If you've got a few lemons and limes that are looking a little ropey, slice them up and stick them in the freezer. Frozen fruit makes a more flavoursome change to ice cubes - and you won't have to worry about the water diluting your drink! Top tip: The acid in frozen lemons can also be used to remove tough stains around the kitchen. A good stock is the basis of lots of meals - it's also a good use of leftovers. Chicken and lamb bones can be boiled with water to make a meaty stock. Vegetables can also be given the stock treatment. Make a big batch and freeze in portions. Check out our easy stock recipe to see how it's done. Top tip: Soup made from homemade stock will have lots more flavour than a ready bought stock cube. Like we need an excuse to make a cake! One way to use up leftovers is by turning them into a freshly made cake. As we mentioned already, bananas are better to bake with if they're past their best and pretty much any fruit can be baked into something delicious. Top tip: It's not just fruits, vegetable cakes such as carrot cake and courgette cake are tasty ways to use up your veggies. Sometimes you don't need to turn your leftovers into anything, a little sauce and a cheesy or crunchy topping and you can create something that doesn't really have a name but is delicious nonetheless. Top tip: A simple topping of breadcrumbs, grated cheese and oats provides a lovely crunchy finish. You may not fancy the same thing for dinner and lunch the next day but a little imagination is all you need to spruce up leftovers from the night before. Salads are a great way of combining dinner leftovers with any fresh produce you might have. Couscous, bulgar wheat, quinoa or even pasta turn the ingredients into a completely different dish. Top tip: Make up a batch of homemade salad dressing to drizzle over whatever vegetables you have in - an instant salad. Sometimes you need to spend out a little to make savings in the end. If you think you'll use it, a juicer is a good addition and makes the most of leftover fruit. A hand blender has got to be the most useful gadget we could recommend. Not only can you make soups and sauces - you can even whip up a speedy salsa with some leftover tomatoes. Top tip: Always look for deals on products, after Christmas lots of the big shops do sales on them. Bread looking a bit ropey? Rather than trying to use it up or chucking it away, simply whizz it in a food processor to make some breadcrumbs and stick them in the freezer. Breadcrumbs can be used to top pasta bakes, coat pieces of meat or fish and in stuffing. Top tip: If you don't have a food processor, you can break down the bread with your hands - it'll just take a little longer. Potatoes are one of the most wasted foods. It's hard to imagine what you can do with a potato once you've cooked it but there are some options. Roast potatoes can be mashed down or turned into a soup, new potatoes can be thrown into a tray bake and mashed potato can be turned into gnocchi with our simple recipe. Take a look at our potato recipes for more ideas. Top tip: Keep fresh potatoes in a cool and dry place to stop them sprouting. Top tip: A plastic, squeezy bottle is easier than glass to get all the ketchup out. Top tip: Have 2/3 favourite meals to turn to when you just need to throw things together - you'll become a pro at what works and what doesn't. Top tip: Giving a particular meal a fun family name - preferably one a little more appealing than this - will mean the kids look forward to eating it - you can even assign a special day when you have the meal. 'Once opened use within 2-3 days' - eek! What if we don't want to use it that quickly? Do we have to throw it away or use it all in one go? The majority of things found in jars can be frozen - you just need to transfer them to sandwich bags. Pesto can be frozen too - do it in a ice tray so you have handy servings for when you're cooking. Top tip: Using up a whole jar isn't the end of the world. You can batch cook your meal and have it for dinner the following night.